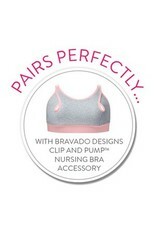 When searching for a nursing bra that delivers on every level, meet the poster child. The Essential Embrace nursing bra delivers comfort and amazing support without an underwire because of the revolutionary 3 layer, bonded Dynatex fabric that is lightweight yet strong and supportive – even up to an L/M cup; soft, breathable cotton lining against the breast; wire-free design; slimming back panels and microfiber outer fabric that provide a smooth look under clothing. Turns out, you can have it all. 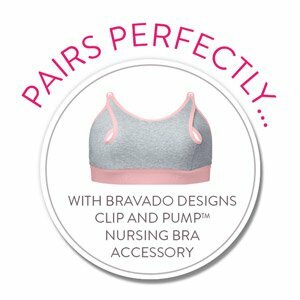 Revolutionary patent pending Bravado Dynatex fabric combines premium cotton with luxurious microfiber to create an elegant, breathable bra. Four-way stretch that molds to your changing breast shape. Supportive and strong, yet lightweight and wire-free. Slimming back panels minimize and smooth your appearance. Cups are wrinkle-free so great for wearing under any shirt. OEKO-TEX® CERTIFIED: This style is certified in accordance with OEKO-TEX® Standard 100 which means it has been tested and verified as free from harmful levels of more than 300 substances. EXTENDED SIZES! Ask about extended sizes for the Essential Embrace! THIS ITEM IS NOT NECESSARILY IN STOCK but is available for special order either in-store or online. 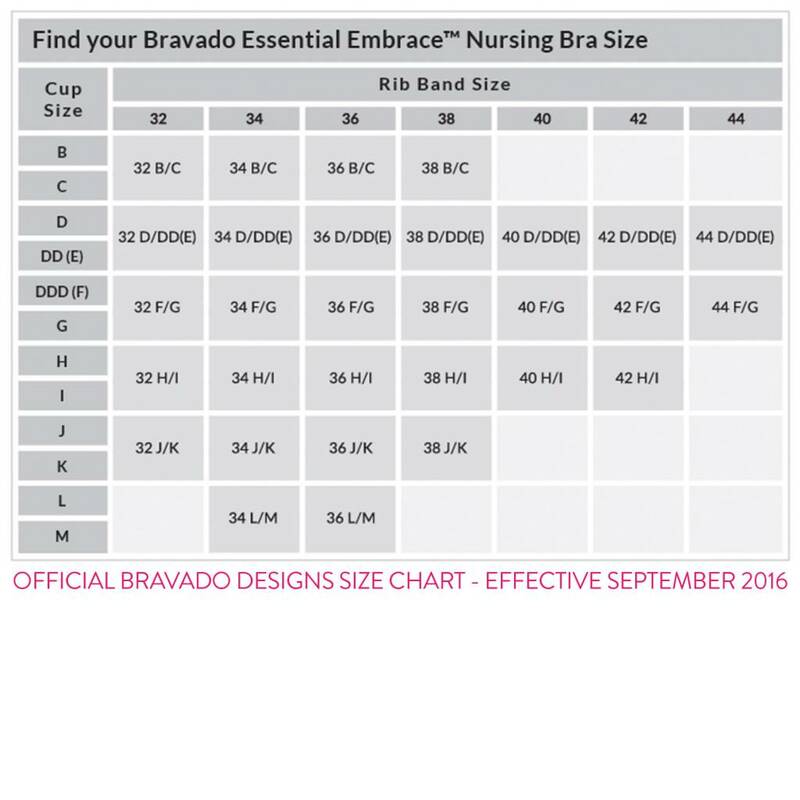 We are a small boutique retailer for Bravado! Designs and love our special requests! Just add this item to your cart and rest assured that we will get it to you straight away! Please allow 7-10 days for the item to be delivered to the store. From there, we will ship to you or hold in-store for free in-store pick up, as indicated at checkout.